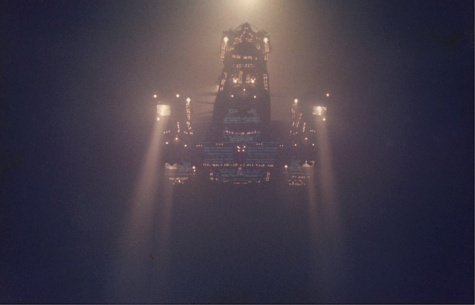 Propsummit.com a Blade Runner Prop Community Forum BladeRunnerProps.comView topic - Rear Nostromo lights ? Posted: Sun Aug 17, 2014 8:01 pm Post subject: Rear Nostromo lights ? Hi, I'm new to the site, so fingers crossed. I've just finished moving, unpacking and starting all my kits. The Halycon Nostromo's first on the list. I want to add lights, but want to make sure their right. 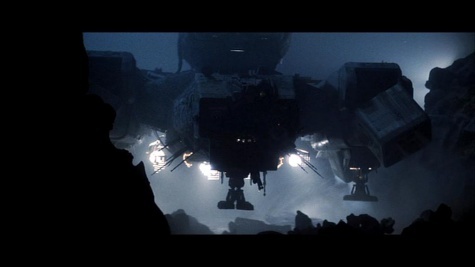 As the ship lands it appears to have a couple of strong lights just in front of the engines on the underside. Cant decide if there just lights for the filming or not. Anybody got any ideas. Welcome TwitchyA2 An intricate light rig was built by the model makers for the underbelly (was never used or even filmed if my memory serves me well)...so those lights you see on the filming model seems to have been put there for a more dramatic landing shot. Funny, but it seems (and I could be wrong) that the restored model doesn't have those lights...maybe I didn't pay attention. I'm pretty sure those lights were only attached for use in the landing scene - I never liked them. At scale they'd have to be 30 / 40' in diameter. I imagine that once they'd been filmed they went back into Nick Adler’s stock to be reused on another production, and which is why they weren’t part of the restoration process. Hello, this is my first post. Great to be around people with tremendous talent, enthusiasm and knowledge. Hope I can make a positive contribution. 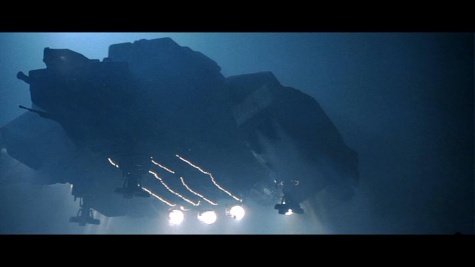 In conversation with Dennis Lowe, he told me how he had devised and wired the spectacular blue landing light rig which Ridley rejected as just being too 'discotheque' for the atmosphere he was trying to achieve for the landing sequence. 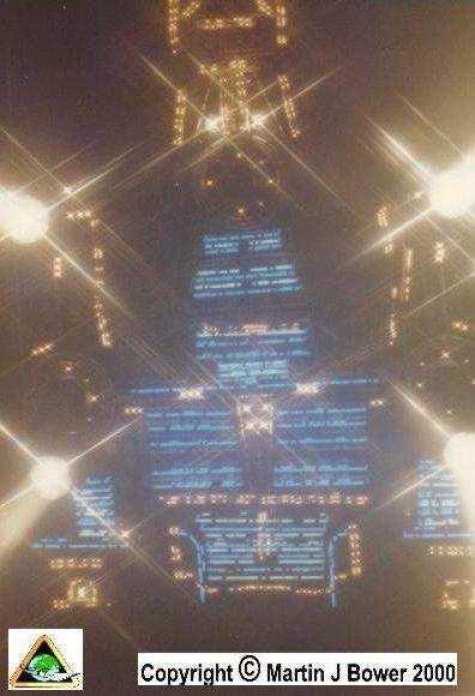 Instead, a daisy chain of lights was installed under the Nostromo's belly- not at all dissimilar to a string of Christmas lights. 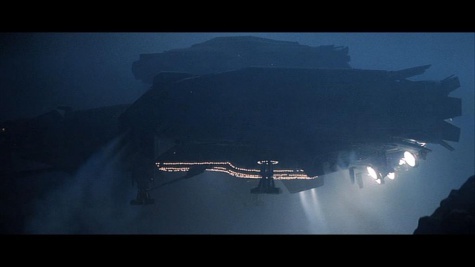 The lamps at the rear were par can lanterns (ordinary stage/theatre lights) bolted to the rear of the ship and only attached for this one filmed sequence. The par cans gave a brutally effective bow view- a harsh, dazzling backlight. Less so when seen from the side. I can't imagine the bulky and roughly-rigged stern lights used on the shoot being successfully integrated on a replica model. Maybe that, according to the circumstance of the shooting SRS opted for maximum effect (lights, smoke are his specialties after all ). It was quickly dismissed and never seen again! Thanks Joberg for the welcome, much appreciated. Pro Mod, Ridley is ultimately responsible for the landing lights. I love the alternate rig though. Just hope all this is a help for Twitchy. The rally car spotlamp aesthetic isn't really going to work on a replica! I like Dennis' alternative a lot. Ridley's plan looked great from the front though. It really did.